Updated for Fall 2011 applicants and the new LSAC applications. Please let me know if there are any issues or other steps I should include, and best of luck to those applying this cycle. Of course, being stickied means now no one will read it. But we'll still link to it and chide n00bs for not reading it. boalthopeful wrote: Sorry, but what's CRS? LSAC wrote: The Candidate Referral Service (CRS) is a free service that makes information about law school candidates available to law schools. Law schools may recruit potential applicants on the basis of specific characteristics; for example, LSAT score, undergraduate grade-point average (UGPA), age, citizenship, race or ethnicity, and geographic background. If you establish an LSAC.org account for any purpose, you may authorize release of your credentials to law schools participating in the CRS. LSAC recommends that you authorize release. CRS is an opportunity to be found by law schools you might not otherwise have considered. Damn, I wish I knew this before submitting all my other apps. Catholic University does hidden fee waivers. If you don't get into Georgetown or GW, and you have to stay in DC, why not try Catholic? I can't see that message. I received hidden fee waivers from UVA, Michigan, Penn, Duke, NYU. What's a hidden fee waiver? I'm a noob. Also, the LSAC site pretty much does not give any details about fee waivers except that it is in given in cases of REAL NEED. What's real need? Not being able to eat? I guess if you have a job making 50k this disqualifies you, even though you barley save any money after expenses. CPAn00b wrote: What's a hidden fee waiver? I'm a noob. A waiver that the school doesn't notify you of - you just find it when you submit an application on LSAC. This has nothing to do with LSAC need-based waivers. Ok, so if this has nothing to do with LSAC need-based waivers, what is the basis for these waivers. In other words, how do these schools distribute these hidden waivers? Is it based on need or some other factor? If need, how is that determined? Since you said it has nothing to do with LSAC need-based waivers, I'm assuming not qualifying for one of those does not preclude one from getting a hidden application waiver at these schools? Thanks for your post this is very helpful! Last edited by enidwexler on Tue Jan 15, 2013 2:54 am, edited 1 time in total. I took the June LSAT in 2011 and 2012 and scored 170 and 174 respectively. I haven't received a single email from any school regarding a fee waiver. Any thoughts? This is great. 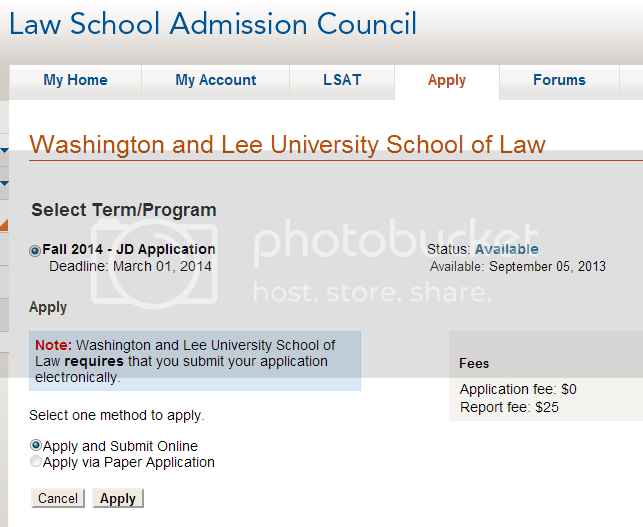 Anyone have a sense as to how long it'll take for these to show up post-November LSAT? I had like to save money, but I don't want to wait for weeks for them to come in. amycompton wrote: This is great. 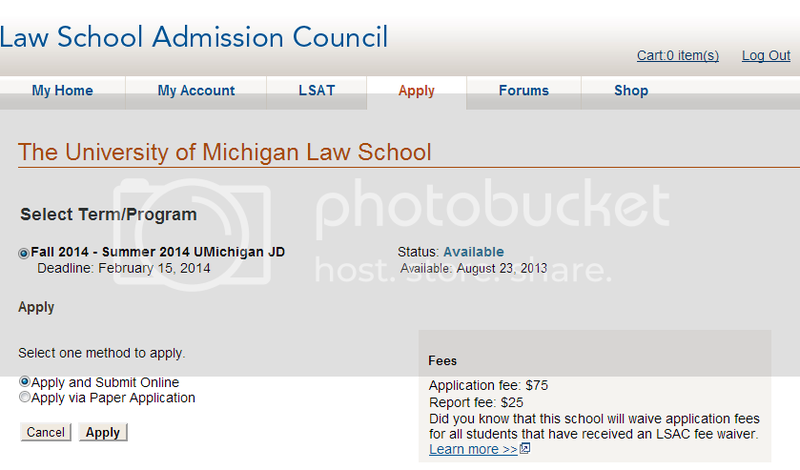 Anyone have a sense as to how long it'll take for these to show up post-November LSAT? I had like to save money, but I don't want to wait for weeks for them to come in. Is it necessary to go all the way through an application to find out if you have a hidden waiver, or does the box showing fees before you start the application tip you off? So my question is, if I theoretically had a hidden waiver from Michigan, would that $75 fee be listed as $0, saving me the trouble of going through an entire application just to find out if I have a hidden waiver? cannibal ox wrote: Is it necessary to go all the way through an application to find out if you have a hidden waiver, or does the box showing fees before you start the application tip you off? No, it would not. Hence the "hidden" part. I'm not so sure if it was a fee waiver that they offered us, I think w and l is just not charging for apps this year like UCI and WashU.